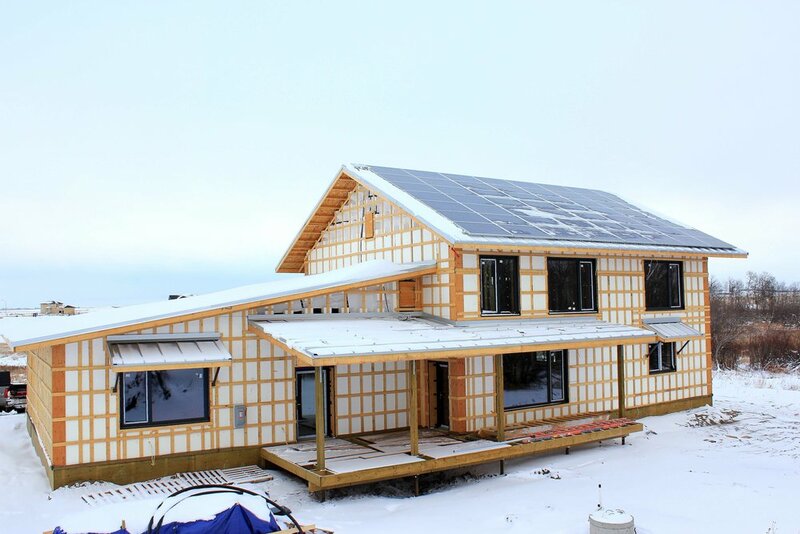 stringent requirements required by both Passive House and Net Zero programs. climate. We work closely with our pre-approved designers/architects or collaborate with a client selected designer/architect. healthy and comfortable living environment, regardless of weather conditions. these homes are capable of running fully electric heating and cooling systems. Once this standard is achieved, homes can easily be adapted to zero energy models by adding a renewable energy system such as photovoltaic (solar system) or wind. decreasing operating costs and making Net Zero homes financially appealing. With a substantially decreased energy demand a photovoltaic system can be added to offset energy usage making the home “net zero”. quality, building durability and decrease external noise, while greatly increasing the value of your home. Home much does a Net Zero or Passive House cost? codes and new construction performance standards improve. When should I contact Piller & Putz? It is most efficient to contact Piller & Putz at the very start of the planning process.